Gov. 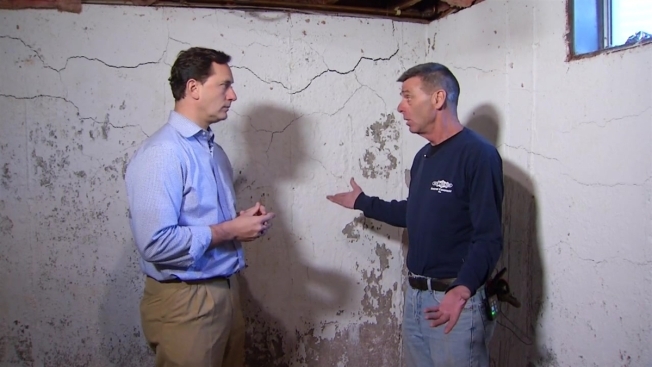 Dannel Malloy is proposing legislation to help residents of northeastern Connecticut whose home foundations are crumbling. It includes a state program that will assist homeowners who would otherwise have difficulty getting a loan to repair their properties. Malloy’s proposal includes creating the Collapsing Foundation Interest Rate Reduction program. The Connecticut Department of Housing would administer the program, providing interest rate subsidies for qualifying loans. Participating municipalities, through the Connecticut Health and Educational Facilities Authority, would be able to borrow funds at lower costs with a state guarantee to help them raise funds for the development and deployment of financial assistance, including through credit enhancements, loan guarantees, and procurement of construction equipment, according to Malloy. The governor is also proposing to allow municipalities to waive the fees associated with building permit applications for homeowners facing this problem. Over the past year and a half, hundreds of homeowners across Hartford, Tolland and Windham counties have discovered they have crumbling foundations and the number of homeowners affected, but the problem might be much larger. Malloy’s office said the legislation was prompted by the large number of homes in the region that have suffered damage due to what appears to be the result of a natural disaster – specifically the reaction of a naturally occurring mineral, pyrrhotite, to oxygen and water. The best available solution known at this time for affected homes is a complete replacement of the foundation, which could cost roughly $75,000 to $150,000, depending on the size of the house. Last month, Malloy approved the release of $5 million in state funding to assist potentially affected homeowners with the cost of testing for the deterioration. Under that program, homeowners are eligible for a 50 percent reimbursement – up to $2,000 – for the testing of two core samples from the foundation. Homeowners who have visual testing conducted by a licensed professional engineer are eligible for a 100 percent reimbursement – up to $400. The Capitol Region Council of Governments is administering the funding and will be providing reimbursement to homeowners. More information for homeowners interested in seeking reimbursements under this program will be announced in the coming weeks, according to Malloy, and it is expected that the testing will help to better inform federal agencies about the scope of the situation and garner support for additional aid. The governor’s legislation has been referred to the legislature’s Planning and Development Committee. Everyone who's either spoken to NBC Connecticut Troubleshooters or has filed a complaint with the state, that knows the source of the concrete, said it's from J.J. Mottes.